Several states have instituted “No Refusal Weekends” as a way to remove drunk drivers from the road. Although drivers may typically refuse to take a chemical test when arrested for driving while under the influence of drugs or alcohol (DUI), “No Refusal Weekends” essentially take away the possibility of refusal. Many people question the legal validity of these DUI checkpoints and worry that these checkpoints take away rights and limit freedom. States enacted “No Refusal Weekends” as a way to protect the general public from drunk drivers. In 2012, the most recent year statistics are available, 10,322 people died in drunk driving crashes. According to the National Highway Traffic Safety Administration (NHTSA), drunk driving costs the United States $199 billion a year. In Illinois, 35% of crash fatalities resulted from drunk driving. The statistics show that drunk driving not only costs money, but also lives. Stiff penalties, increased enforcement and “No Refusal Weekends” are ways that some states have attempted to discourage driving while under the influence of drugs or alcohol. What are “No Refusal Weekends”? Illinois is one of 9 states that has enacted “No Refusal Weekends” to curb drunk driving by getting drunk drivers off the roads. In normal circumstances, when a person is arrested for DUI, they are then asked to take a chemical test to determine blood alcohol content (BAC). A BAC of .08 or over is considered illegal. The results of the chemical test are then used to convict the offender of DUI. Though this chemical test is considered mandatory in Illinois, a person can still refuse to take the test. Officers then must go through legal channels to get a warrant to obtain the chemical test. Getting warrants is time consuming and since BAC reduces over time, by the time the warrant is in, the BAC may not be accurate. To reduce the time needed to get a warrant, Illinois joined other states in a “No Refusal Weekend” initiative. During specified weekends, officers will have judges and medical personnel immediately available to get warrants and blood tests taken more efficiently, thus reducing the possibility of BAC lowering and getting more accurate results. Essentially, a person can no longer refuse to take the chemical test because a warrant for the test is quickly available. Refusing to take a chemical test after a warrant is issued is much more serious and can lead to increased charges. 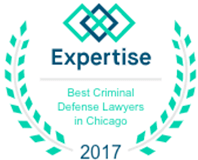 Illinois is one of many states to have an Implied Consent law. Basically, this law says that anyone that chooses to drive in Illinois already consents to taking a chemical test if arrested for DUI. If an Illinois driver then refuses to take the chemical test, his/her driver’s license is automatically suspended for 12 months. It does not matter which state an Illinois driver’s license holder is in when refusing to take the chemical test. Refusal in any state will result in a suspended license. Even with the Implied Consent law and automatic penalties for refusing to take a chemical test, many drivers still refuse to take the chemical test. A study conducted by the NHTSA showed that Implied Consent Laws failed to significantly reduce refusals to take chemical tests. The study also showed that suspects that avoided testing also avoided serious DUI penalties. Without a chemical test proving that BAC was above the legal limit, offenders were able to avoid serious DUI charges. Implied Consent penalties were not enough to stop refusals. A warrant is a document giving the police the authority to carry out a certain action. Often warrants are obtained to make an arrest or search premises. In DUI cases, a warrant is used to provide the police authority to give a chemical test (blood draw). When a person refuses to take a chemical test after being arrested for DUI, the officer can get a warrant to do the blood draw. Unfortunately for law enforcement, this is often a time consuming process that may not be completed in time to get an accurate BAC result. Since BAC diminishes over time, the sooner the blood test is done after an arrest, the more accurate the result. Illinois sometimes engages in “No Refusal Weekends” when judges are readily available to provide warrants for offenders arrested for DUI. This helps law enforcement get timely warrants for chemical tests if a suspect refuses to submit to chemical testing. The penalties for refusing after a warrant is issued increase substantially. A person that refuses can be charged with contempt of court or obstruction of justice. Additionally, the warrant gives law enforcement the right to hold the suspect down and take his/her blood. Since the charges substantially increase once a warrant is issued, the right to refuse is negated. 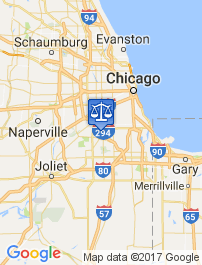 Anytime you are charged with DUI, it is important to contact an experienced Chicago DUI attorney to protect your rights. Law enforcement is concerned with finding evidence and building a case against you. 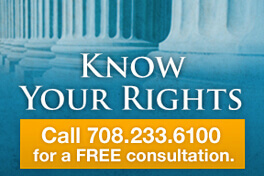 Make sure to have a DUI Defense attorney on your side to build a case to support you. 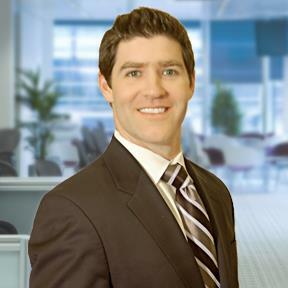 If you have been charged with DUI, contact Dennis Dwyer, DUI Defense attorney, to learn more about how he can defend your case.